Image number two from March 27th 2008. This time I have relocated to the junction at Crewe Road with the Coleraine Road in front of me. 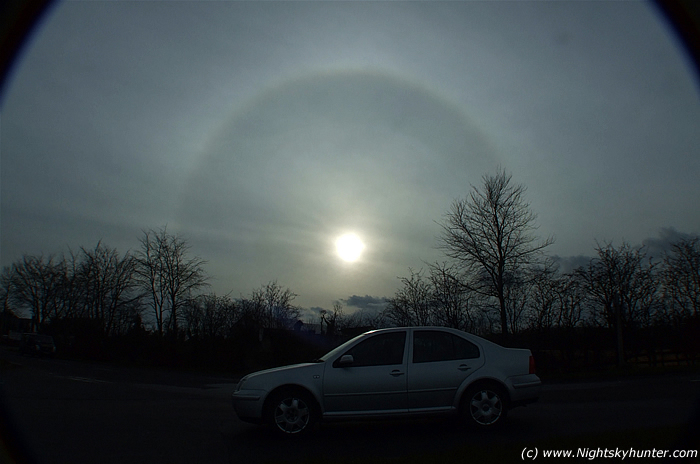 Here's the 22 degree sun halo getting lower in the sky taken just as a passing car turns in. Taken with wide angle lens with fast shutter speed and aperture closed down.